Few websites could offer you a good information about how to choose a cruise ship to travel on. Where you could find all you are searching for? List of cruise lines – comprehensive list of cruise companies and owned cruise ships. technical specifications: imo number, year built, speed of the ship, builder, owner. 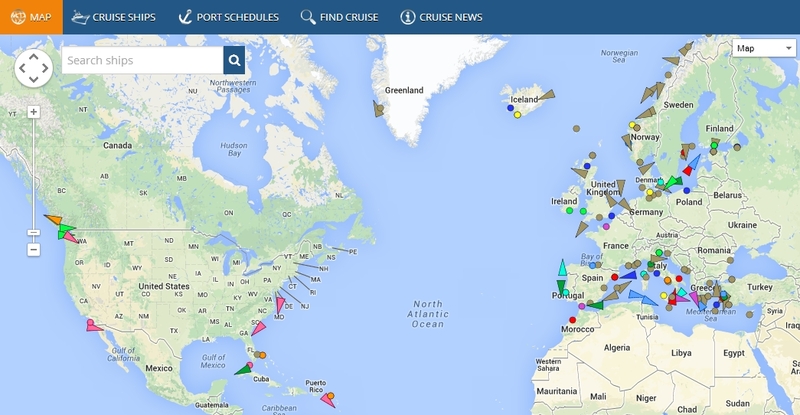 Cruise Mapper – user friendly, easy for navigation, nice design. Searching when and where to travel with a ship? This will take you few seconds to find the information you are looking for. On the search page you can filter by cruise line, cruise ship, date (cruise calendar) and departure port. More and more people go on a cruise in the first time from curiosity. Other reason why people like travelling on a cruise ship is the opportunity to see many foreign countries, different cultures and meet new people. Before decide to go on an adventure you would like maybe to see what cruise destination to choose. Another reason why to go on a cruise is that’s a free holiday without looking for a hotel, wondering where and what to eat, no more driving a car all time (that makes you so tired at the end of the day and you don’t have strength to do what you really go on vacation). Before you sail you will probably decide where to go – to choose a destination. Plan how long you’ll be on the cruise ship. It is your time – you decide. Look at the cruise itineraries to choose your dreamed destination. Go wherever you want and plan your cruise trip in every detail. In each cruise ship you can find details about available entertainment and activities. After reading the details you could choose is this your ship that suites best your interests. Travelling at sea is more and more popular nowadays. Cruise Mapper offers you all the information you need for planning your cruise trip.